Paul McGuigan‘s Victor Frankenstein (2015) releases on Digital HD and Digital Rental on February 23, 2016. Followed by the Blu-ray/DVD release on March 8, 2016. 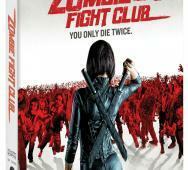 The Blu-ray cover art is nice but expected. Special features include the standard deleted scenes, Making of Victor Frankenstein, Galleries, and the theatrical trailer. 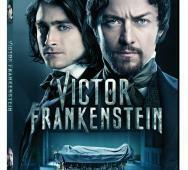 Daniel Radcliffe, James McAvoy, and Jessica Brown Findlay star in Victor Frankenstein. 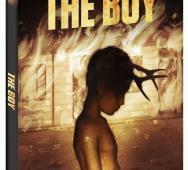 Here we have three new clips for William Brent Bell‘s The Boy (2016). The clips are titled No Boyfriends, Dress Him Each Morning, and Kiss Him Goodnight respectively. The clips increase the creepy factor of the boy doll. 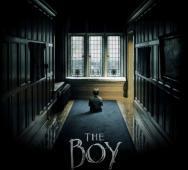 The Boy releases in movie theaters this upcoming January 22, 2016, and stars Lauren Cohan, Jim Norton, Diana Hardcastle, Ben Robson, Rupert Evans, and James Russell. Showtime’s Penny Dreadful Season 3 premieres this upcoming Sunday, May 1, 2016. 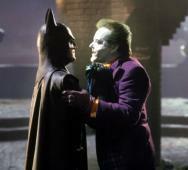 We also included the new sneak peek trailer below. 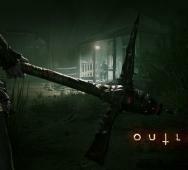 The trailer looks awesome and teases many thrills and scares. 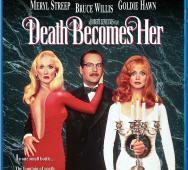 Returning stars include Josh Hartnett, Timothy Dalton, and Eva Green. 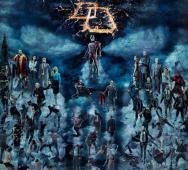 I cannot wait to see how this new season plays out and how it builds upon the previous seasons. Check out this new larger art for AMC’s The Walking Dead Season 6 second half. We see many images teased in this larger image that takes the exact story arc title “A Larger World” and throws it in the mix in bold letter. 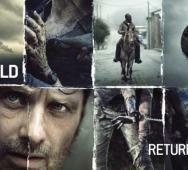 The Walking Dead Season 6 returns February 14, 2016. Scott M. Gimple shared some info below. 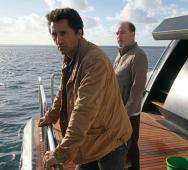 AMC‘s Fear the Walking Dead Season 2 has officially released the first promo photo still with a picture of two cast members on the boat in the open sea. The second season of Fear the Walking Dead will premiere this upcoming April 2016 on AMC. After the expanded order, we are now getting a 15 episode order set to air in a split season just like The Walking Dead currently runs. AMC’s Preacher Season 1 will get its premiere at SXSW 2016. 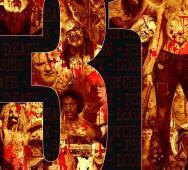 The first episode is set to premiere on TV via AMC mid-2016. 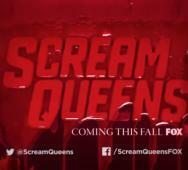 Only the first episode will make the early premiere. 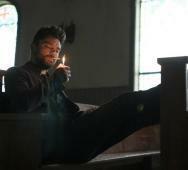 We also have a new photo featuring Jesse Custer (Dominic Cooper). SXSW 2016 will run from March 11-19 2016, in Austin, TX. Garth Ennis and Steve Dillon created the cult classic comic series, and I am stoked to see how that material transfers over to the small screen in ten one-hour episodes, directed by Seth Rogen and Evan Goldberg. Dominic Cooper, Ruth Negga, Joseph Gilgun, Ian Colletti, W. Earl Brown, and Lucy Griffiths star in AMC’s Preacher Season 1. Luke Sparke‘s Red Billabong has some new photos released, and we also included the movie poster. 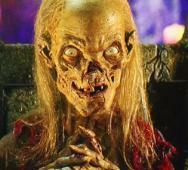 This new creature feature movie has yet to receive a release date. 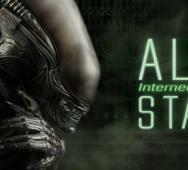 The creature is a fully rendered CGI character that is most likely the reason for the delays. 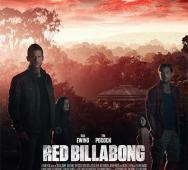 Dan Ewing, Tim Pocock, Sophie Don, Jessica Green, Ben Chisholm, Greg Fryer, John Reynolds, Felix Williamson, Emily Joy, James Straiton, and Col Elliot star in Red Billabong. James Wan‘s The Conjuring 2: The Enfield Poltergeist (2016) just dropped the new full trailer for the film, and it is awesomely terrifying. Ed and Lorraine Warren take us on their next case, The Enfield Poltergeist. 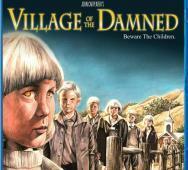 A family plagued by malicious spirits and featuring scenes that actually happened, most likely overplayed to make a better film for us horror fans. The Conjuring 2 releases in movie theaters this upcoming June 10, 2016. 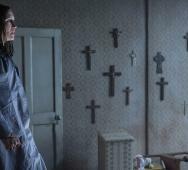 Patrick Wilson, Vera Farmiga, and Frances O’Connor star in The Conjuring 2. Also included is The Conjuring 2 photo gallery.